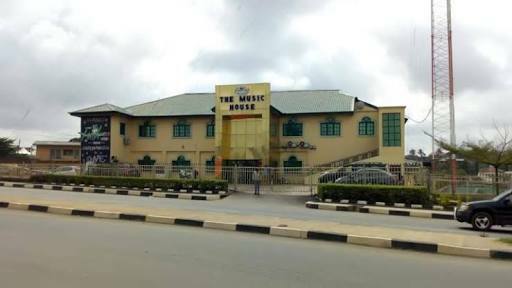 Yinka Ayefele’s popular structure, The Music House, where Fresh FM 105.9, one of Ibadan’s most lovely radio stations is located, has been marked for demolition. The demolition notice pasted on the structure at Lagos Bye Pass, Challenge, Ibadan, on the orders of the Oyo State Government gave the owners of the building three days to vacate the building and remove the structure or risk it’s removal by the government. The deadline expires on Wednesday, 15th August. The development is coming at a time the station is extending it’s frontiers to Abeokuta, the capital of Ogun State. The radio station’s Director of Corporate Affairs and Promotions, David Ajiboye wrote on Facebook late on Tuesday that the demolition notice was issued because “(1) The staff canteen in the premises was not approved. (2) The spiral staircase was not in the approved plan. (3) The mast was not in the approved plan (4) The fence was not in the approved plan” Ajiboye also wrote that “….and therefore the entire N800 million edifice where almost 150 people make their daily bread have (sic) to go down. You are all invited to the demolition show at the Music House tomorrow”. A similar notice was issued years ago but the matter was resolved between the agents of government and the owners of the structure. Meanwhile, it is being said among Fresh FM listeners that the demolition threat might have some political undertones. It was alleged that the move might be an offshoot of a statement during one of the station’s recent live programmes where certain insinuations were made about the ownership of the new abbatoir in Ibadan. It was gathered that the station tried to make amends by retracting the statement. Efforts to get the CEO, Dr. Yinka Ayefele and David Ajiboye for comments proved futile as neither of them answered calls to their phone as at the time of filing this report.